It’s best to be sure that you always have your backup energy for your phone in case of emergencies so grab this 20000 mAh solar power bank now! 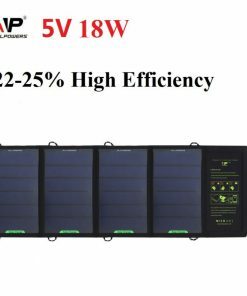 High conversion rate – With its monocrystalline silicon solar panel, you can maximize almost all of its stored solar energy at a 93% conversion rate. High capacity – Its 20000 mAh capacity enables you to fully charge your phone for 10 times. Stylish and portable – This solar power bank is thin at 9mm and light at 280g so it is space efficient and easy to bring. Power banks are part of our essentials when camping, hiking, or going on a long trip. 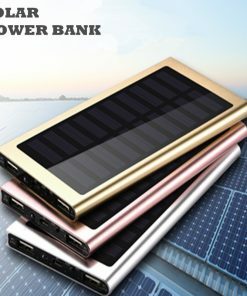 If you don’t have one yet, grab this 20000 mAh solar power bank now! 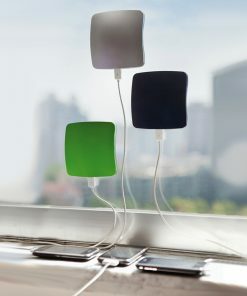 This solar power bank is made for your on-the-go backpacks or hand carry bags as it is light and thin. Though small, it also brags of a 20000 high capacity with a 93% conversion rate.